by hand at home: twinsies! home again! i got to give these baby gifts to my friend anne when we were in iowa. her twin boys were just born yesterday! fingers crossed for cuter photos - including babies!!! but plenty of understanding if that doesn't happen with two brand new little ones! 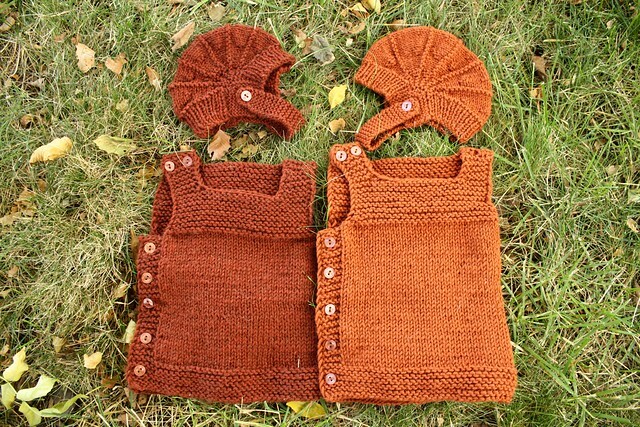 i was so excited to see if i could get both the aviatrix hat (ravelry link) and the pebble vest (rav. again) out of one skein, i whipped through the darker one. then i procrastinated the completion of the second - and the sewing on of buttons for...well, months and months. 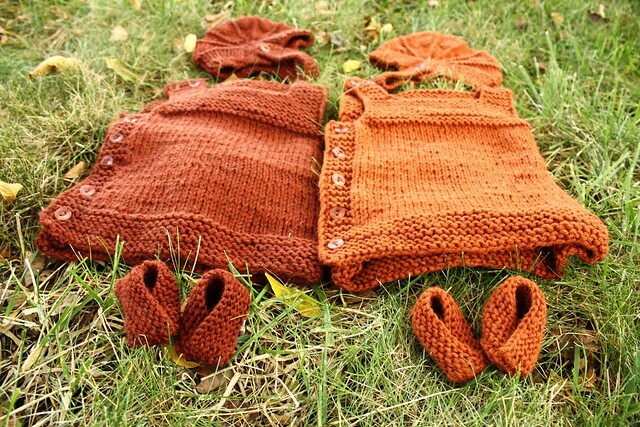 i had a little leftover yarn to spare and couldn't resist eeking out some petites chaussons mignons on our voyage. i barely had enough yarn to sew them up! they are so wee, i don't know if they will fit even tiny baby feet, but i figured they would make adorable christmas tree ornaments. 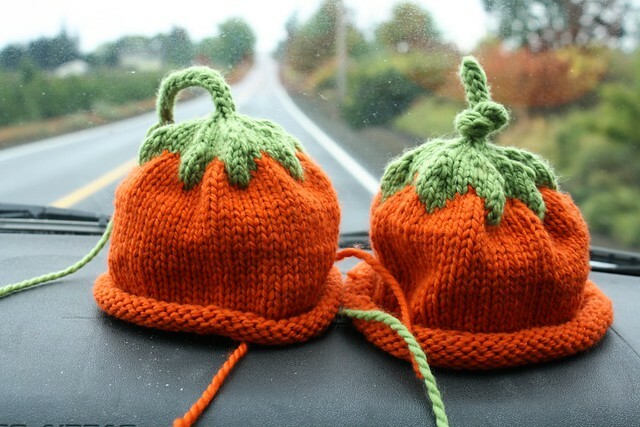 i also intended to make an etsy-inspired double baby pumpkin sleepsack + hats (rav. ), but anne's mom beat me to it! that means i will either put these up in my etsy shop, or in a shop around town. let me know if you're interested in one or both!